One of the most versatile adornments you can make to the windows of your office, your showroom or even your home is window frosting. 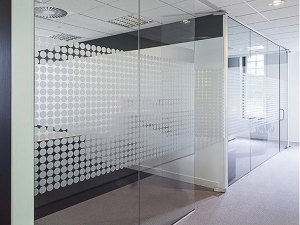 At once both decorative and highly effective at enhancing privacy, this adhesive film can also add personality to an otherwise plain looking window. 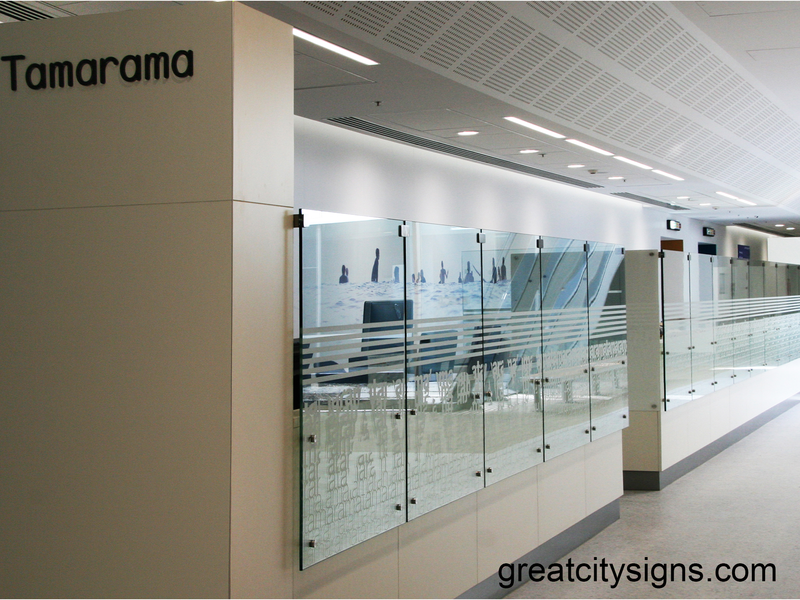 If you’re looking for quality window frosting in Sydney for your commercial or residential property, get in touch with Great City Signs. 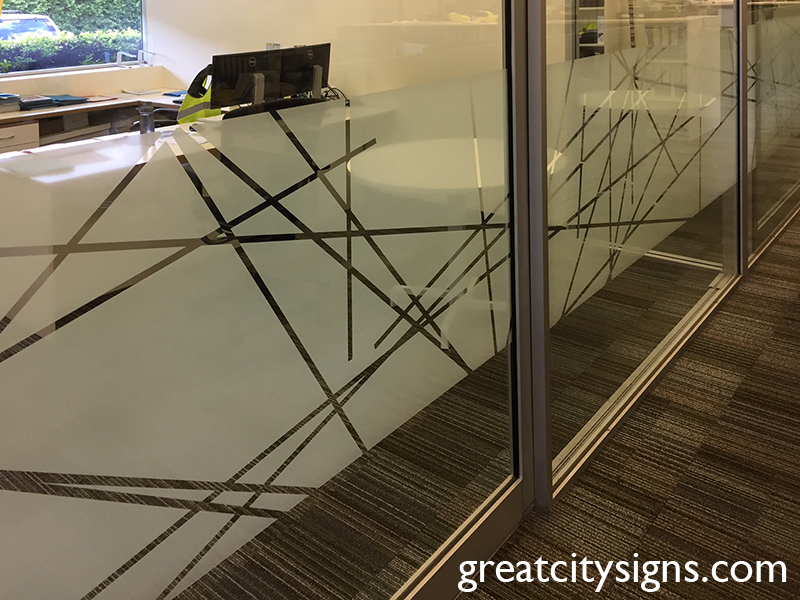 Using the range of vinyls on offer, we can design and install a variety of frosted vinyl films, providing elegance with endless options. 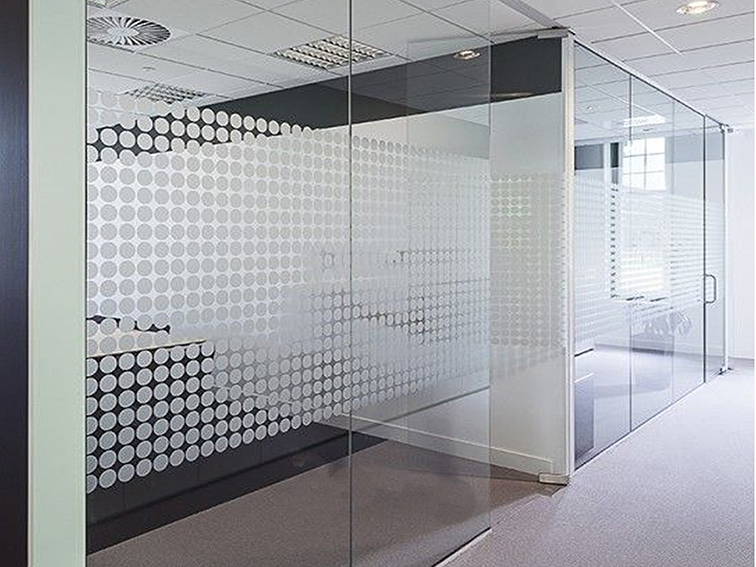 Window frosting can be used for a wide range of purposes both in the workplace and at home. 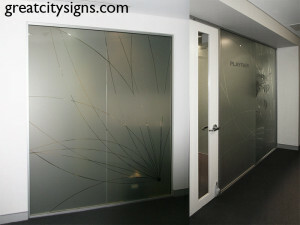 It adds extra privacy to meeting rooms and offices, while still offering good light penetration. 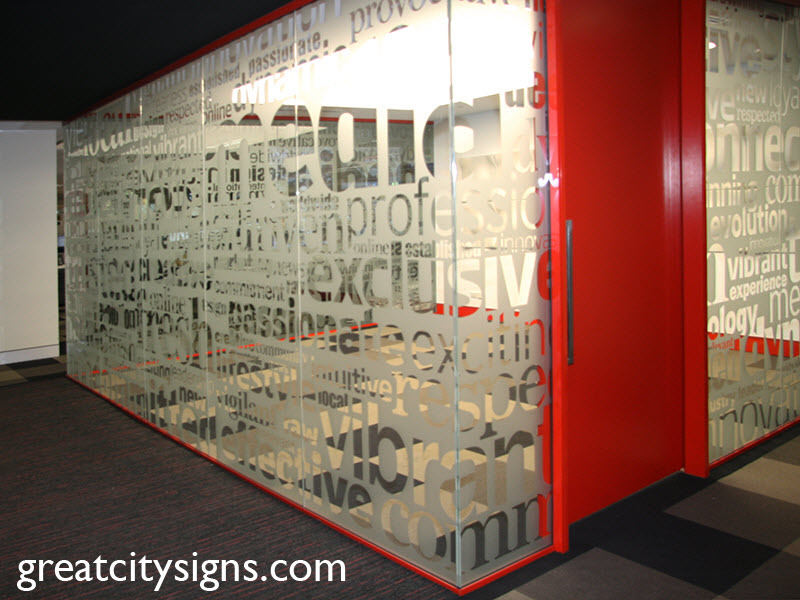 Frosted film also adds an element of decorative appeal to glass surfaces; it can be used to hide storage and kitchen areas, applied as a glass awareness solution, and can even incorporate your company logo or act as a form of office signage. 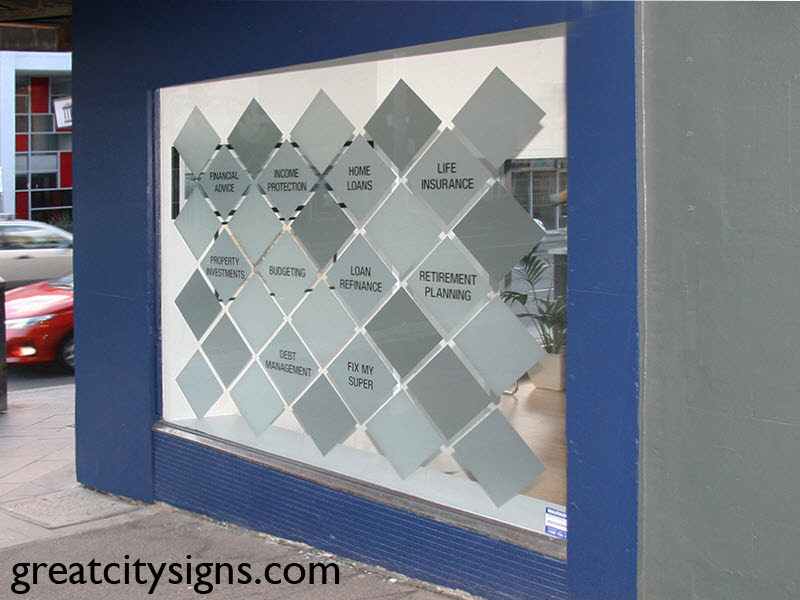 Window graphics can also maximise the marketing potential of a shop window or a shop sale; we can produce vibrant, full-colour printed graphics as well as single coloured vinyl lettering. 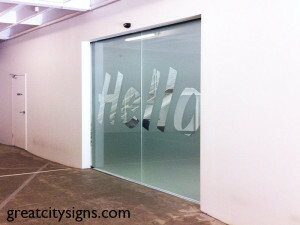 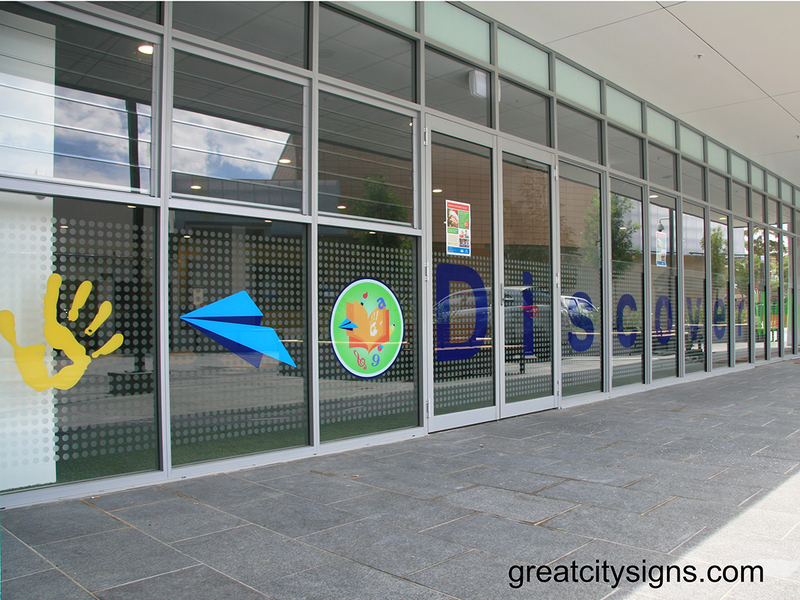 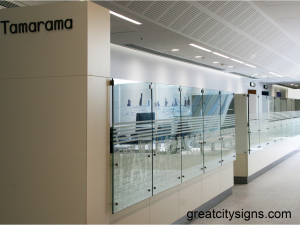 Great City Signs specialises in the custom design and application of window frosting for Sydney businesses and homes. To find out how we can improve the privacy and aesthetic appeal of your home or workplace, call us on (02) 8338 9944 or email us at sales@greatcitysigns.com. 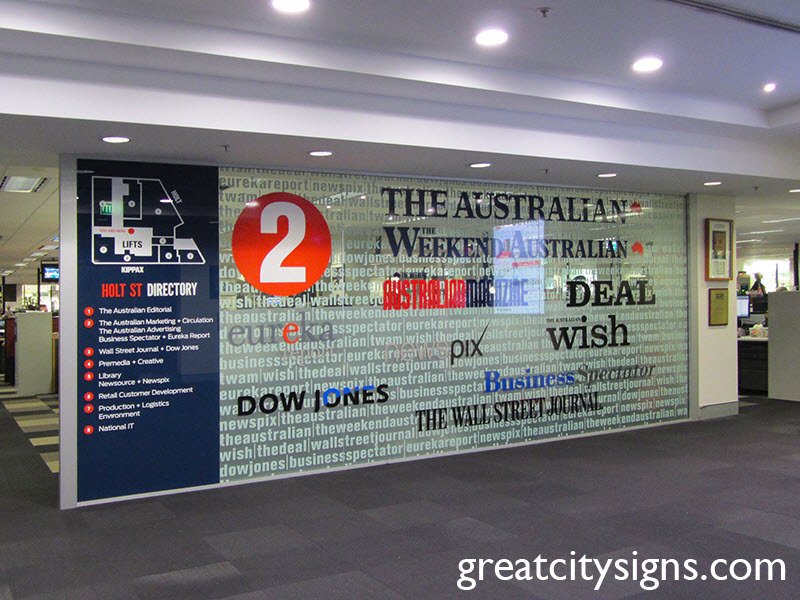 You can also enquire about our other signage printing services, including exhibition signage and office signage in Sydney.